Two manufactured homes on 1 acre. One is currently used as a veterinary clinic including 2 exam rooms, 1 surgery room, kennels, etc. The other is a 3bd/2ba 1080 sq ft home in need of TLC. Views of Black Butte. Detached garage & several outbuildings. Veterinary business is also available for sale. Buyer to verify square footage. Check with county for the many potential uses of this property at www.co.siskiyou.ca.us/page/planning-division. Many possibilities! 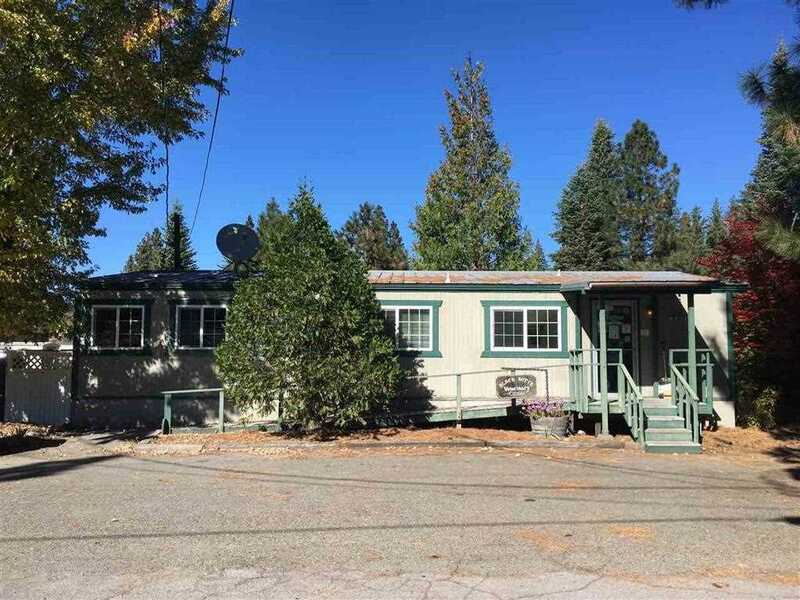 Please, send me more information on this property: MLS# 113185 – $173,000 – 5817-5819 Truck Village Dr., Mt Shasta, CA 96067. I would like to schedule a private showing for this property: MLS# 113185 – $173,000 – 5817-5819 Truck Village Dr., Mt Shasta, CA 96067.